Police say the ring of six suspects had been producing cheese locally since March, reports the Associated Press, supplying “as cheese a product made from cheese rennet whose import into Russia is forbidden.” Basically, they used ingredients from Western countries to make their own cheese. 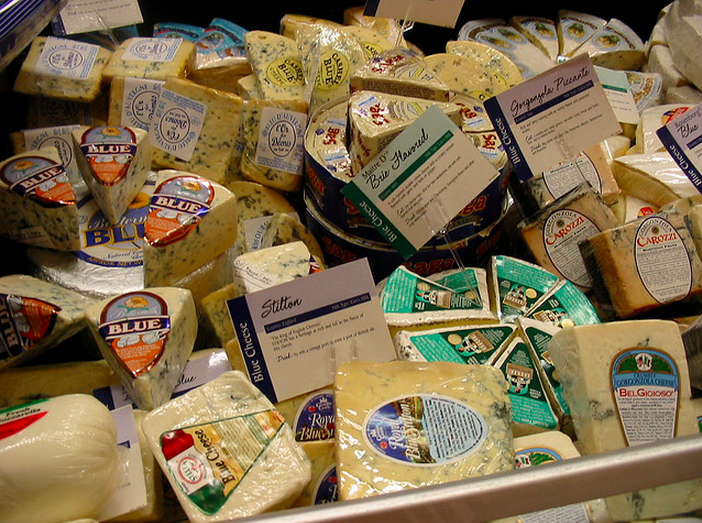 Those products were then allegedly slapped with a counterfeit label of known foreign cheese producers and sold in grocery stores and distribution centers in Moscow and St. Petersburg. Police raided 17 buildings in the Moscow area, including homes and warehouses, and found 470 tons of rennet product, equipment for making the counterfeit labels and documents confirming the illegal activity, the police statement said. Six people were arrested. The recent fromagicide that saw tons of cheese, meats and other Western food products destroyed is just one part of a push by the Russian government to crack down on banned imports: as of Monday, 321 tons of animal products have been seized, of which 48 tons have been destroyed, and 592 tons of fruit and vegetables have been seized, with 552 tons destroyed.